According to the Centers for Disease Control and Prevention (CDC), half of Americans aged 30 or older have periodontitis. This amounts to 64.7 million Americans. Gum Disease, clinically referred to as periodontitis, is a term that describes conditions involving the inflammation of gums and structures that support teeth. Periodontitis is caused by bacteria found in dental plaque and results in the loss of bone around the teeth. As the bacteria builds up on your teeth, it also eats away at the bone and the ligaments surrounding the tooth. In time, this creates pockets around your teeth and they will become loose. Ultimately, teeth may even fall out. Periodontitis is an irreversible disease and so while the bone will never regenerate back on its own, it can be maintained with proper treatment. 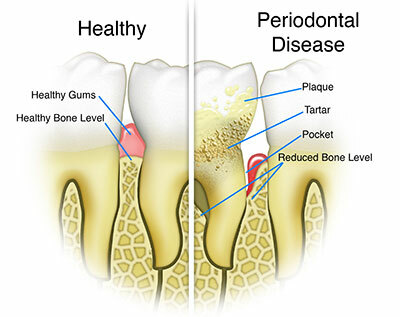 The goal of periodontal therapy is to eliminate the bacteria in the pockets and to prevent further destruction. The early stages of gum disease often begin with gingivitis – a periodontal condition where the gums get red and inflamed, but there is no evidence of bone loss. Unlike periodontitis, gingivitis IS reversible with treatment and this is achieved by eliminating the bacterial before deep pockets begin to form around the teeth. 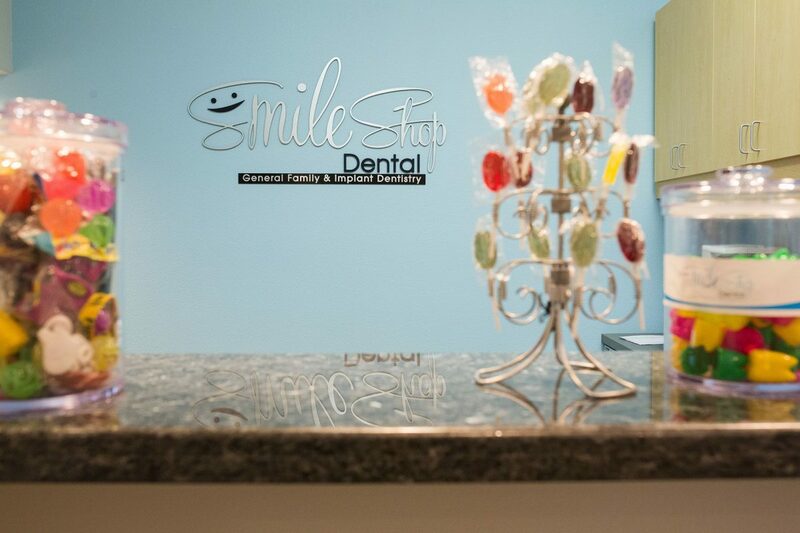 The treatment that the dentist will recommend will depend on the severity of your gum disease. Sometimes, part of the treatment will be to control other factors of your health such as diabetes or the cessation of smoking, two factors that increase the risk of periodontitis. Periodontitis is generally treated with a thorough cleaning therapy called scaling and root planing. Scaling removes the plaque and tartar that has accumulated on the crown of your tooth, while root planning removes the plaque and tartar off the root surface. For those with mild periodontitis, good home care with scaling and root planing often is enough for successful treatment. For those with moderate or severe periodontitis, the treatment plan may be more aggressive. In addition to scaling and root planing, the dentist may recommend depositing antibiotics in the pocket spaces or utilizing laser therapy to rid the pockets of the harmful bacteria. There will be times where this is not successful and a surgical intervention is required. Surgery will allow the dentist to reach deeper pockets to clean the root surfaces while reshaping the gums and encouraging bone to regenerate.